As I said, I have been on fire when it comes to winning cards lately. 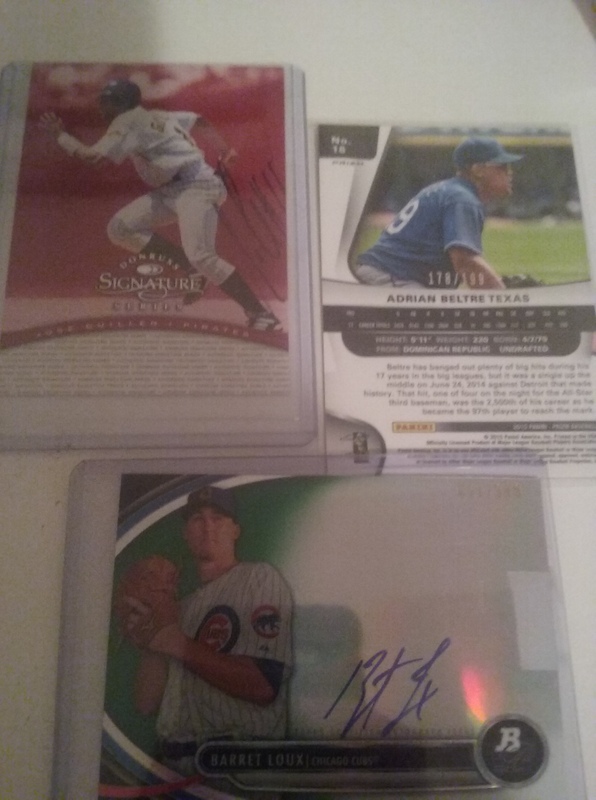 I wish that the luck translated into winning the lotto but in the meantime I will take it for what it is: great people in the hobby being generous. The next handful of posts will highlight that. I do want to note that for every 3 contests I win, there is 1 person who does not send anything. I don’t get what people gain out of picking a winner for these contests and not sending the winner anything. 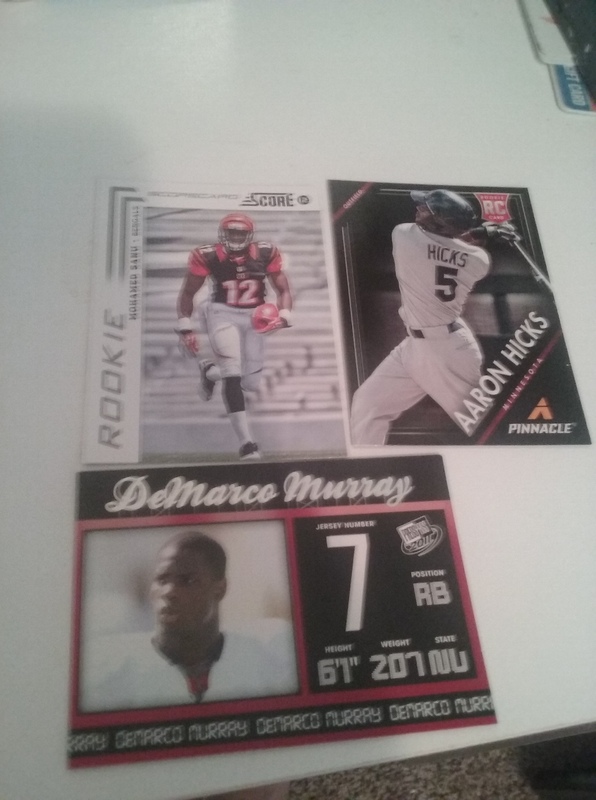 Today’s first contest win was from https://twitter.com/CdubsCards, a Colorado based collector. He graciously gave out a Barret Loux autograph, Jose Guillen autograph, and an Adrian Beltre card numbered to 199. My personal favorite card is the Jose Guillen autograph. He signed the card on the side instead of under his name. If you remember anything about Jose Guillen, this is fitting as the guy was on his own planet during his playing days. Guillen may not have been a star, although he had his moments, but this card is going to be one of my favorite pieces of my collection because it truly shows his personality. Thanks again C-Dub. Now for the reveal of a piece of the contest I am running. Thanks for the great article. Gotta love the hobby!! As a Giants fan, when we got Guillén I was like wtf r u doing, sabean? Then peds, Cody Ross, and the rest is history.